Our Customer Service office hours are from 10:00 a.m. to 6:00 p.m. EST Monday – Friday. If you are calling us when our office is closed, please leave a detailed voice mail message and one of our Customer Service Representatives will be back in touch with you within 1 business day. 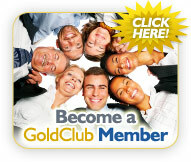 If you have any questions, concerns and/or to simply learn more about goldclubdiscounts.com and our Gold Club Discounts Membership program, please feel free to contact us at anytime. If you are already a member and wish to cancel your membership, you can cancel your Gold Club Membership at any time by simply contacting Customer Service at (800) 646-8140 and/or customerservice@GoldClubDiscounts.com and we will be more than happy to assist you. Thank you.